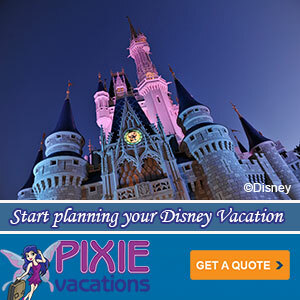 As an Orange County native, I am one of the few who is very attached to the beloved California Adventure theme park. I remember visiting Disneyland while it was under construction during my youth and wondering what was behind the temporary walls. I remember being amazed when I walked into the Hollywood section for the first time and thinking it was so hip to take pictures underneath the giant letters (always “A” for Amanda). This park was a part of my adolescent Disney experience, and thus I am very fond of it. 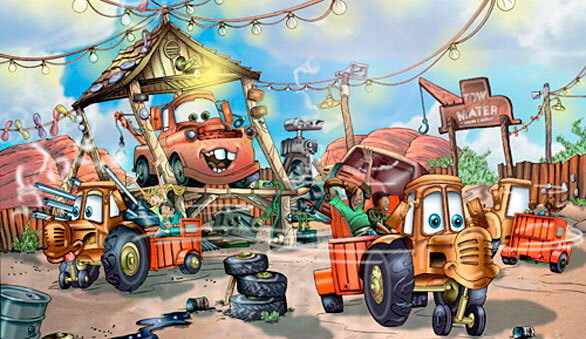 Which, my friends, is why I am excited to share with you this preview of Mater’s Junkyard Jamboree, one of the three rides that will be a part of the California Adventure Cars Land expansion opening in Summer 2012. According to the Los Angeles Times, the ride will be a blend of “a traditional teacup ride and classic whip ride with cars transferring from one spinning turntable to the next along a circuitous route.” Though I am not particularly a Cars fan, I think this concept art is really helpful when picturing what the park as a whole is going to look like. 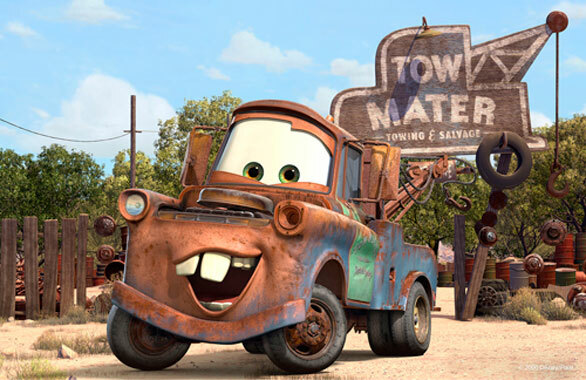 This ride may be a bit more…well…junkyard-y than the rest of the 12-acre land, but it certainly does look like a cute, exciting, and worthwhile addition to the park! Click here for more images, or continue below the jump for a short video of the ride!